Is It Bad To Freeze Your Hard Drive? Freezing your hard drive to recover data is a trick that has been around for ages. It’s origins go back to a different era when hard drives were more susceptible to temperature variations. That is not the case with modern hard drives, they work the same at any temperature. It doesn’t matter how cold or how hot the drive gets as long as it is within the temperature range specified by the manufacturer. If you haven’t read it already…check out our brief overview of how a hard drive works. In order to squeeze more and more data onto the platter surface, hard drives have extraordinarily small clearances between the heads and platters. In modern drives this clearance is slightly less than 10 nanometers (nm). To put this in perspective, a single strand of DNA at around 2.5nm would barely fit through the gap between the heads and the platters. When you freeze a hard drive, it doesn’t matter how much you wrap it, it doesn’t matter how airtight you try to make it, the platter surface can and will accumulate microscopic crystals of ice. The ice crystals are extremely small, but they are still around 15,000 to 30,000 nanometers in height. The problem becomes clear…there’s no way the ice crystals are going to be able to avoid hitting the heads when the drive powers up. We take some flak for this video, because some people think we are just doing this to scare people into sending their drives to us for recovery. Nothing could be further from the truth. It really comes down to the value of your data. If you don’t care if you get the data back, or it’s not important…by all means try to freeze it. You never know. However, if you have irreplaceable data…family pictures…or maybe data that would require thousands of man hours to replace and would cost you a fortune…then DO NOT freeze it under any circumstances. Even if you don’t want to send it to us, at least send it to a reputable data recovery company. Unfortunately this is probably the biggest reason why this method is still attempted. A friend of a friend tried this and it worked. It’s impossible to know what was wrong with the drive before they tried freezing it. 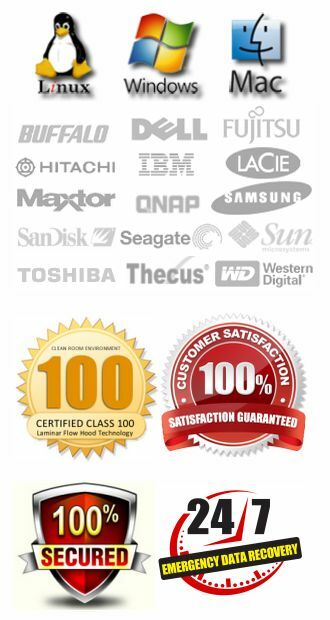 Data recovery is a specialty that begins with proper diagnosis. There is a very good chance that nothing was wrong with it. Even if a drive clicks, that doesn’t mean it has suffered a mechanical failure. You will find stories all over the Internet where users describe how putting their hard drive in the freezer helped them recover their data. The fact is, cold air will not repair a damaged hard drive. If you’ve dropped your drive and it’s clicking, there is absolutely no way putting it in the freezer will ever help you get your data recovered. It just won’t. There are times when cold can help a drive to some degree, such as if the electronics are overheating, but you have to be able to diagnose the drive properly to know that is the actual problem. So unless you are absolutely sure, the risk is greater than the reward if the data is irreplaceable. You will still be dealing with condensation and moisture as the drive thaws. It’s almost a guarantee that anyone you’ve heard of that recovered their data via the freezer method, did so out of pure luck. Not anything to do with the freezing of the drive at all. We have hard drives all the time that we swap out the heads and it clicks right away. We power it down, try something else, and it still clicks. We power it up one more time to check something and by some miracle those heads finally take. It ends up working flawlessly and we image the drive. Why Do People Still Suggest Freezing Your Hard Drive? The reason why this is still propagated is because it’s an extremely old and outdated technique and many computer repair professionals think it is still relevant. Years ago (prior to the late 90’s), you could actually take a hard drive that was clicking or not spinning up properly and throw it into the freezer. There was hit or miss luck with this, because in situations where the spindle bearing was seizing, the cold temperature would contract the metal and allow the bearing to free up enough for the drive to spin again. You might also have had situations where a drive was clicking because the track alignment was off slightly, and the cold may theoretically change the dimensions of certain components in the drive just enough to allow the tracks to be read. Again, even back then, there was only hit or miss success. I know for a fact that this post will have people screaming the praises of how effective it is to put your hard drive in the freezer to recover the data. I also know that many people seem to think companies like ours only condemn this method, because we would rather you spend money to get your data back. This has nothing to do with our business at all. This is simply a plea for those that have data that is irreplaceable to avoid using this tactic, regardless of whether they send their drive to us or not. That cannot be stressed enough here. 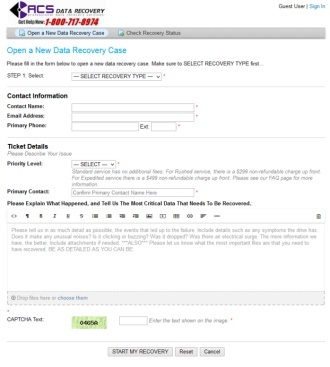 We want you to get your data back if it’s something you desperately need, and we take that very seriously.